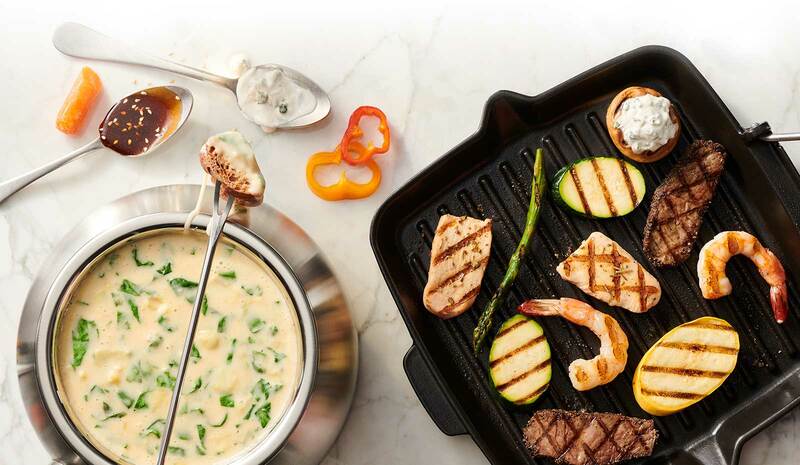 Fondue fans and grill masters unite. 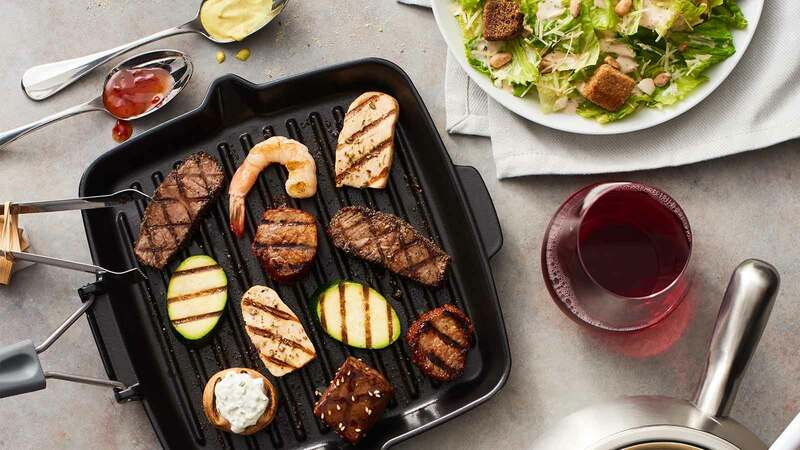 Enjoy the new Grill Cooking Style with our recommended four-course experience entrée packages which also include your choice of cheese fondue, salad and chocolate fondue. See your local Melting Pot’s menu for all their entrée selections and go ahead and show off those grill marks.